Because Gari didn’t go outdoors for the first 10 months of his life, and in addition, possibly didn’t get fed the full range of nutrients a growing animal needs, his bones are weak. His back legs are “hocked” and his heels rub together when he walks, like he is knock-kneed. His skull is porous, and his jaw isn’t strong enough to hold his teeth in position. While adopting a homeless animal is the compassionate way to obtain a pet, some future veterinary care can be a surprise part of the adoption package. This is a blog about Gari’s most recent trip to the dentist. Garibaldi is Sick: Vet Visit 5 | Capybara Madness. 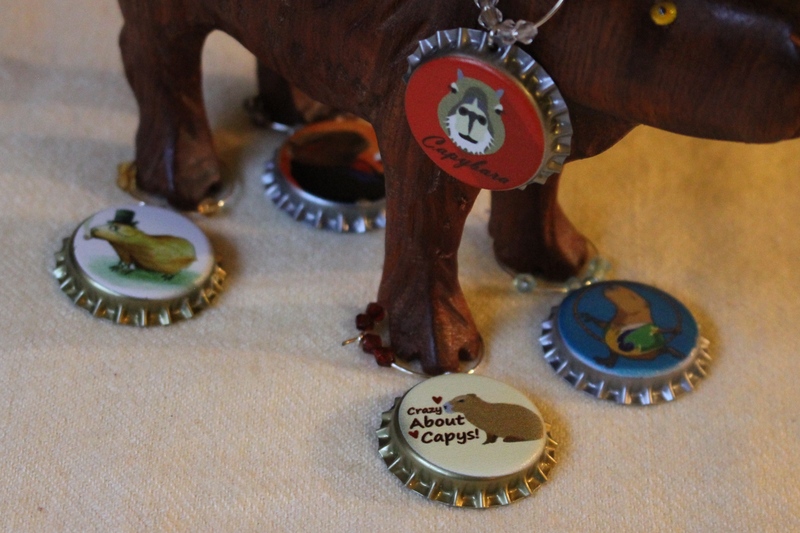 While you are on the Capybara Madness page, don’t forget to vote for a name for Gari’s new rabbit co-pet! It is so sad that he’s having so many problems, and will probably have more. Still, he has a loving family to care for him and keep him company, and I don’t think much beats that. I hope he doesn’t have too many problems, and he gets to enjoy life! While Gari’s former life and activities are somewhat of an unknown, his previous owner did the right thing when she realized she wasn’t able to properly care for him: she returned him to the breeder. He was able to place Gari with Melanie, one of the most knowledgeable and capable owners there is. Gari will have the best life possible with her.